Ok…I know what some of you all are thinking, so let’s jump RIGHT into it. Because I pray for someone, it doesn’t mean I condone their actions or lifestyle. Their association with “super saved me” doesn’t make things better LOL. We all deserve prayer. The best gift I EVER received? Prayer. There is nothing like someone who can go to God on your behalf to pray for YOU. What a wonderful gift! 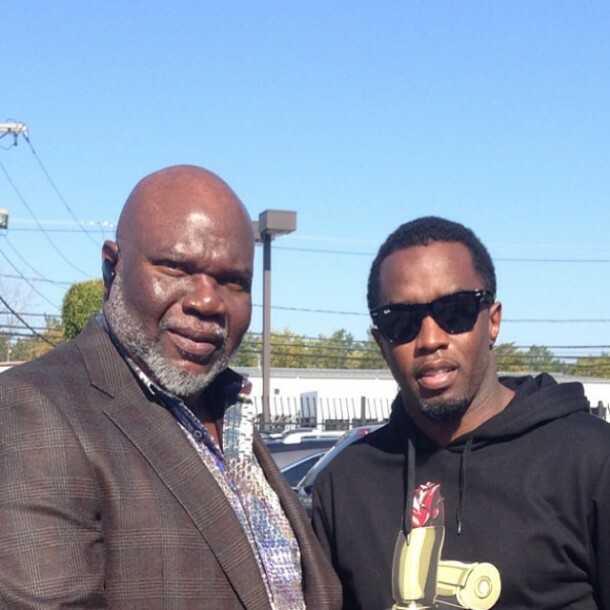 I fail to see what the issue is concerning Bishop Jakes asking followers to pray for Diddy. It is by prayer, that the eyes of our understanding our open, our hearts are softened and we can actually sense the presence of God. I believe prayer is an act of humility. A lot can be said of about a person who says “You know what? I need God above all other things”. When it comes down to it, Romans 13:8 says it perfectly “Owe nothing to anyone–except for your obligation to love one another. If you love your neighbor, you will fulfill the requirements of God’s law” Let’s look at it this way: A common love language is “time”. One has a sense of security, acceptance and appreciation because someone they love spends their “time” with them. You take “time” out to pray. Pray because you love. If you love, then you will pray!